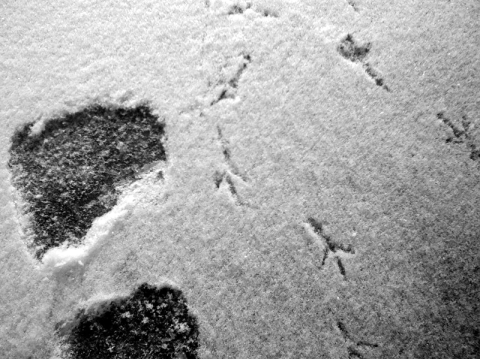 Breaking: Amateur scientist discovers pigeon footprints directly next to human footprints, proves personal theory of origins of life | Whiteboard "Comics"
There you have it: I have photo-documentary evidence that pigeons and humans have existed simultaneously, and therefore, my personal belief that humans appeared spontaneously from pigeon excrement holds water. Prove me wrong, creationists (or whatever you’re called now, creation scientists, intelligent design-pushers, Sarah Palin, &c.) and evolutionists (or whatever you’re called now, Richard Dawkins, &c.). See here if you have absolutely no idea what the hell I’m talking about. (See, I’m nice like that).